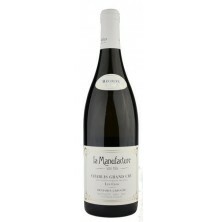 Elegant, with supple, fresh and lively flavors of raspberry and cherry, meshing harmoniously with details of clove, forest floor, tobacco leaf, pepper and dried lavender that echo on the long, lingering finish. Drink now through 2024 Greywacke is the new Marlborough label of Kevin Judd, and the f.. Extremely aromatic, with honeysuckle, lemongrass and lemon zest notes up front, followed by equally powerful lemon, tangerine and nectarine flavors. Everything comes together on a smooth, supple and light body, revealing plenty of juicy highlights. Drink now. Greywacke is the new Marlborough labe..
"Fermented entirely with naturally occurring yeast – this is an alternative style of sauvignon blanc that is both intricate and textural. A succulent combination of yellow peach and brown pears, rolled into rich, short pastry with a sprinkling of a caramelised almonds. 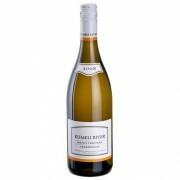 The palate is full of lemon cu..
Tasting Note The 2009 Estate Chardonnay gives intense notes of ripe apricots, guava, green mango and honey coated nuts with nuances of lightly browned toast and white blossoms. 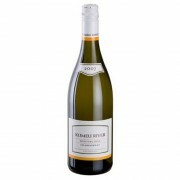 Medium bodied with a silken texture, it gives great concentration, crisp acidity and a long toasty finish. Drinking now,..
New Zealand State Banquet Wine---Kumeu River Hunting Hill Chardonnay 2012 Tasting Note Starts out firm and juicy, with green apple, Asian pear and lemon zest notes, but then gains momentum, with toast, vanilla bean, candied ginger and honeycomb details, culminating in a detailed, refreshing wi..
Tasting Note Apricot, yellow apple, quince, pear, toasted spice and honeysuckle notes are focused and harmonious, set on a smooth body, with a lift of juicy acidity on the finish Winery Info Robert Parker: "Kumeu River and (winemaker) Michael Brajkovich MW have both become synonymous..